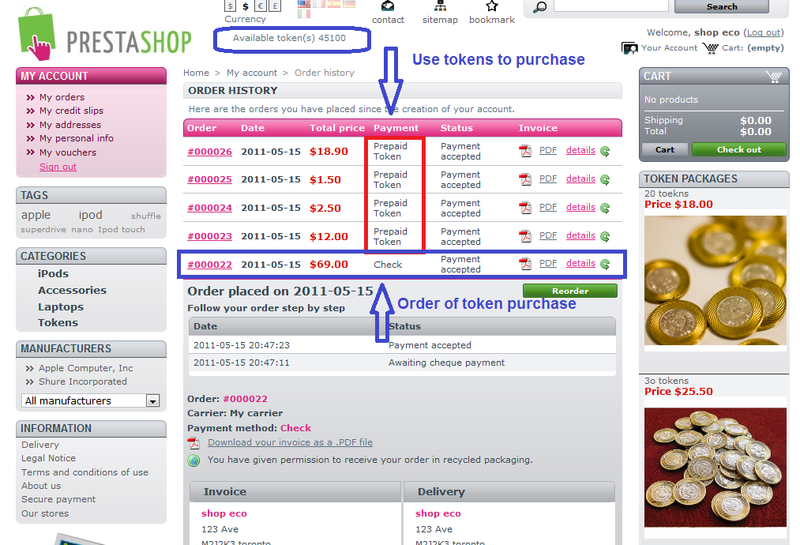 * User can use prepaid tokens/credit to buy products without going though checkout process, Much easier for user to use your PrestaShop store. * For downloadable product/online viewable products, user can download/view the products right away by just one click by using the prepaid token. 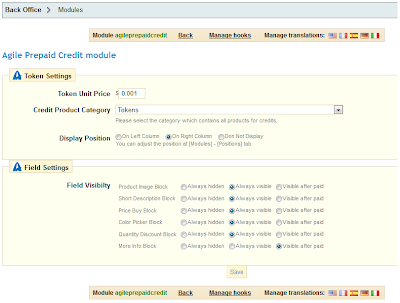 * As store owner, you are able to control product information display on product detail page, only show some information after user paid for the product item. 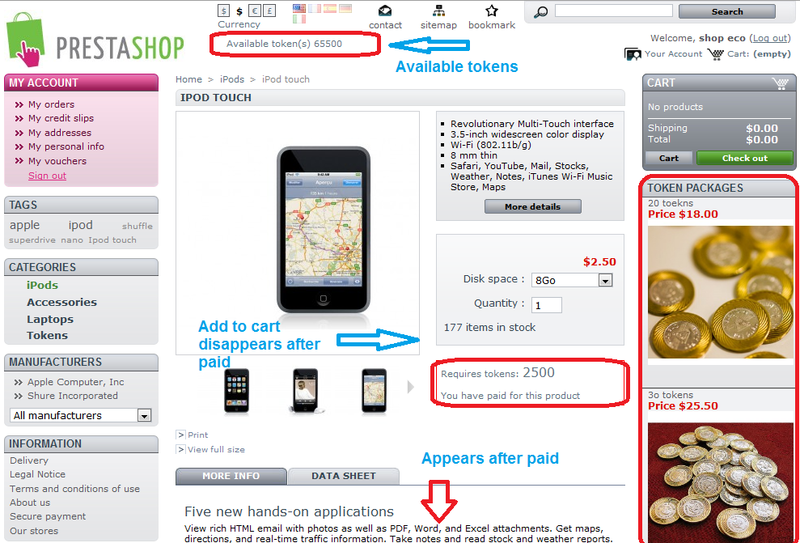 * User will be automatically redirect to Token packages to purchase or add up tokens it he/she is running out of tokens. * Number of available tokens is always displayed on top of the page, customer is easy to know and control his token usages. * Customer will receive an New Order email when he/she used tokens to download or browse a digital service like video/articles by token. * "Add to cart" button will be hidden automatically one customer paid for the product. 1. 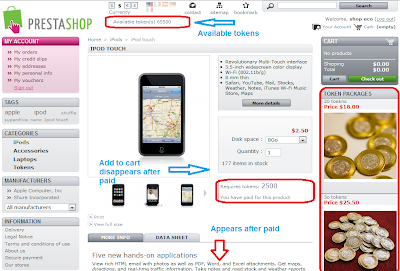 Customer can see the available tokens at any time. It is displayed on the top of the page. 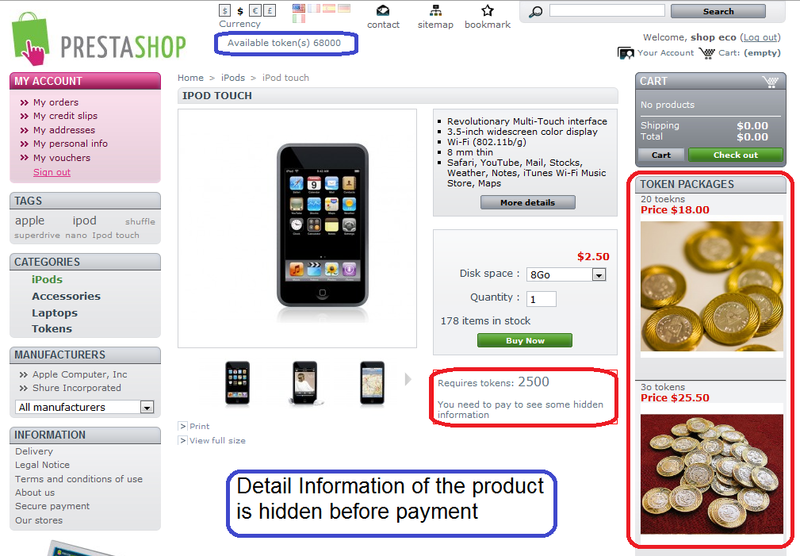 Some sensitive information is hidden before customer purchase the product. 2. 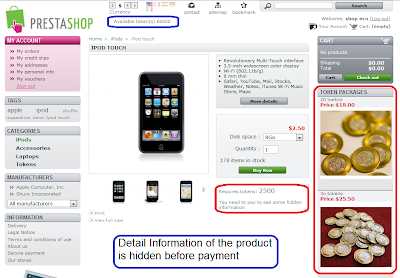 After user purchase the product by just one click "Buy Now", the hidden information become available. And an order will be placed at background automatically. An order confirmation email will also be sent to customer. 3. 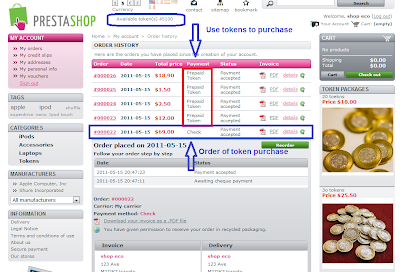 From order history, customer can see difference orders purchased by Tokens and the order that you purchased tokens. 4. 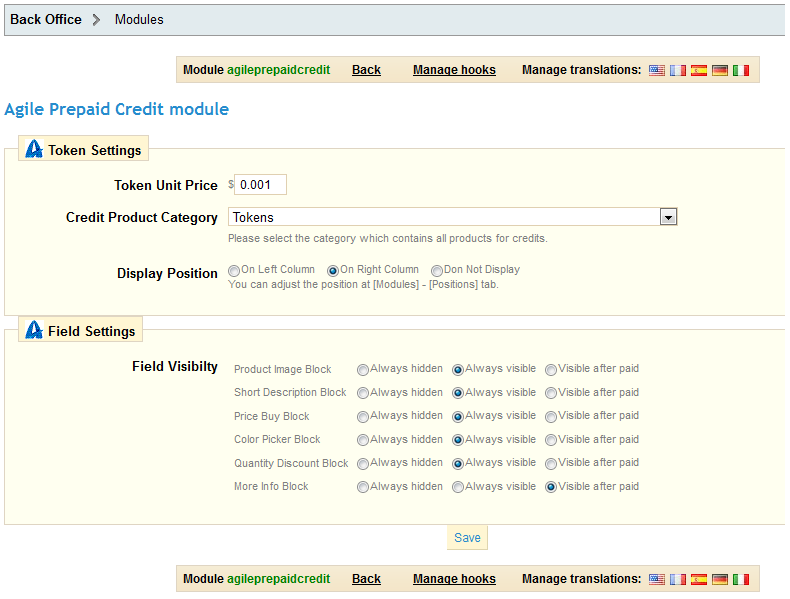 Very easy to configure the module.